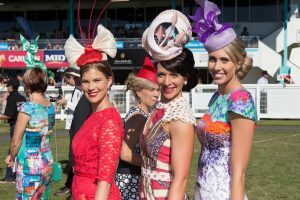 The Cairns Central Fashions on the Field is indisputably the pinnacle showcase of racewear in the region. 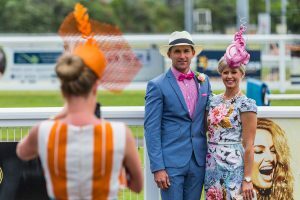 Fashions on the Field is a highly-anticipated and hotly contested annual event comprising of local and interstate competitors. Each year judges from across the spectrum of Australian fashion and media cast expert eyes over the entrants. This truly creates an event of style, contemporary trends and elegance. 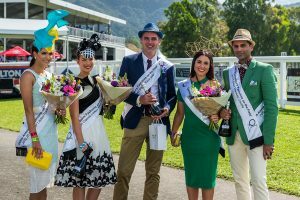 Cairns Central Fashions on the Field judges are chosen because of their exceptional standard of individual fashionable style and judgement. The criteria provide guidelines to assist the members of the judging panel when making their decision. 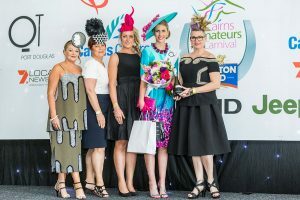 As the Cairns Amateurs is a Spring Racing Carnival, the judges will be looking for elegant and stylish race wear to suit the season as well as the latest fashion trends. Style, design and quality workmanship of millinery components including originality, concept of theme and wearability. Registration for each event closes at 11.45am on both Friday and Saturday. Entrants are encouraged to register online to avoid disappointment. 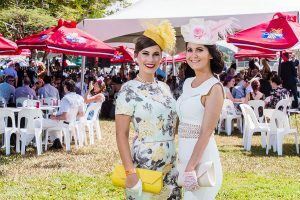 You will need to arrive at the track in time to meet at the Fashions on the Field Waiting Lounge in the Garden Party from 11.00am. Category timing is detailed above. Those who register online will need to bring their booking confirmation as all entrants need to confirm online registrations. Following this, there will be rolling heats on the Garden Party Catwalk. 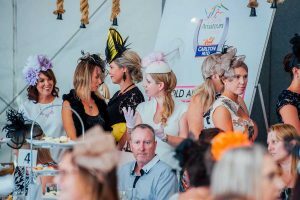 Finalists, winners and special mentions will be selected from each category as they progress with all winners to be sashed and awarded at the mounting yard in the afternoon each day.